Abcylette is a practical, identifying and playful solution to park bicycles in Québec City. The parking rack becomes an urban landmark, a meeting area, a much-sought-after hot spot for selfies—and, of course, the best place to park a bicycle. 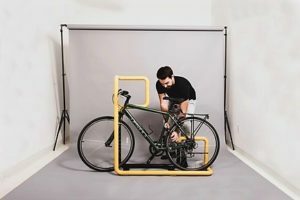 Developed in collaboration with GID Design industriel and as part of a contest held by Québec City, the Abcylette bike parking rack is one of the two finalists. (Hatem+D is a creative and transdisciplinary agency where design (g raphic & interactive) and architecture come together to offer its clients a resolutely modern and bold signature.) 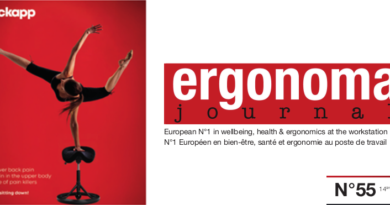 On display during the entire summer of 2018 and throughout Québec City, the general public will decide which concept will become the winner. The idea for Abcyclette is that the shape of the bicycle parking rack becomes the name of the “station,” much like other transit systems. For example, users leave the bicycle at the ST-ROCH station. From another viewpoint, people can see an array of colourful tubes that are both pleasing to the eye and very intriguing. 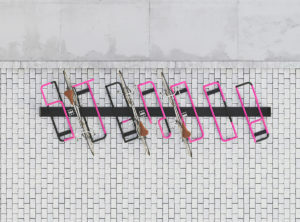 Abcyclette bicycle parking racks not only beautifully mark the streets, but they also serve as functional urban art. The racks can be adap ted to all sorts of uses, including for citizens and tourist routes. Abcyclette inspires curiosity and discover—and incites people to interact with it to uncover its true meaning.